While it may seem obvious, we now have research showing a positive link between eating fast food, weight gain and diabetes. Up to this point there have been no long-term studies documenting the effect of fast food on obesity, type 2 diabetes and heart disease. Data from a cardiac health study involving 3000 young people was used to determine if there is a link between eating fast food, weight gain and diabetes. Subjects in the 15-year study received a medical checkup and answered questions about diet, physical activity and other lifestyle factors. After controlling for other factors, researchers determined that eating fast food twice a week or more was associated with a weight gain of 10 pounds over the course of the study. Fast food eaters had more than double the chance of developing insulin resistance, which is a predictor of type 2 diabetes and is also strongly linked to obesity. Consumption of red and processed meat has been associated with colorectal cancer in many studies. Only a few studies have examined risk in relation to long-term meat intake or the association of meat with rectal cancer. The purpose of this study was to examine the relationship between recent and long-term meat consumption and the risk of colon and rectal cancer. The subjects in this study consisted of 148,610 adults aged 50 to 74 years from 21 states with population-based cancer registries. The subjects provided information on meat consumption in 1982 and again in 1992 when they were enrolled in the Cancer Prevention Study II (CPS II) Nutrition Cohort. Subjects were followed from 1992 through 2001 to determine the incidence of colorectal cancers. Subjects with the highest intakes of red and processed meat in both 1982 and 1992 had the highest incidence of colorectal cancer. Long-term consumption of poultry and fish was inversely associated with risk of colorectal cancer. The results of this study demonstrate the value of examining long-term meat consumption in assessing cancer risk. Chao, Ann. et al. Meat Consumption and Risk of Colorectal Cancer. JAMA. 2005;293:172-182. Health-care costs for morbidly obese adults are nearly twice those of people considered to be of normal weight, says a study led by University of Cincinnati (UC) researchers. The study found that medical expenditures for morbidly obese adults in the year 2000 were 81 percent more than for normal-weight adults, 65 percent more than overweight adults, and 47 percent more than obese adults. The excess costs among morbidly obese adults resulted from greater spending on visits to the doctor, outpatient hospital care, inpatient care and prescription drugs, the researchers say. “The economic burden of morbid obesity among U.S. adults is substantial,” says David Arterburn, MD, assistant professor of internal medicine and researcher at the Institute for the Study of Health at UC’s Academic Health Center. The study, led by Dr. Arterburn, appears in the Feb. 14, 2005 issue of the International Journal of Obesity. In 2000, nearly 5 million U.S. adults were considered morbidly obese, bringing health-care spending associated with excess body weight to more than $11 billion that year. Morbid obesity (defined as being 100 pounds or more over ideal body weight or having a body mass index (BMI) of 40 or higher), is rising twice as fast as obesity (BMI greater than 30) in the United States. Between 1990 and 2000, the prevalence of morbid obesity increased from 0.78 percent to 2.2 percent, representing a total of over 4.8 million morbidly obese U.S. adults in the year 2000. The authors found that $56 billion in U.S. heath-care expenditures in 2000 were linked to excess body weight–a 12 percent increase from 1998. “If the number of morbidly obese Americans continues to increase over the next decade, total U.S. health-care expenditures will likely continue to rise,” says Dr. Arterburn. Morbid obesity is associated with a substantially increased risk of sickness and death from chronic health conditions such as diabetes, hypertension, cardiovascular disease and cancer. The authors say further research is needed into specific interventions that will reduce the incidence and prevalence of morbid obesity and improve the health and economic outcomes of morbidly obese individuals. Coauthors include Matthew L. Maciejewski, PhD, of the University of Washington, and Joel Tsevat, MD, professor of internal medicine and researcher at UC’s Institute for the Study of Health. The research was supported by a grant from the Department of Veterans Affairs. Certain types of carbohydrates may be good for the heart, according to a new analysis of data from the Women’s Health Study conducted by the Harvard School of Public Health. The federally funded Women’s Health Study is a 10-year randomized trial testing the effects of aspirin and vitamin E in reducing cardiovascular risk in approximately 40,000 women. Women who ate high-fiber diets rich in fruits, vegetables and whole grains were found to have lower levels of C-reactive protein, a substance in the blood that has been linked to coronary heart disease, the study found. Most people recognize high cholesterol as a leading cause of heart disease, but new data suggests that testing levels of the C-reactive protein, produced by the liver, is equally important in predicting coronary problems as well as Type 2, or adult onset, diabetes. High CRP levels in the blood indicate a low-grade inflammation in the body, a condition that is believed to play a role in heart attacks. Inflammation develops when our bodies fight infection or injury and is thought to contribute to or even cause atherosclerosis, or build-up of fatty deposits in the arteries, according to the American Heart Association. Earlier research from the Women’s Health Study found that women with high levels of inflammation had a greater risk of heart attack or stroke. In the carbohydrate trial, Harvard researchers drew blood from 15,000 women and quizzed them about their diet habits, dividing participants into groups based on their total fiber consumption and glycemic index?the measure of how quickly carbs are absorbed into the body. The researchers found that the CRP levels of women whose diets consisted primarily of refined grains were 10 percent higher than women who consumed a lot of good carbs such as fiber-rich whole grains, fruits and vegetables. “Carbohydrates have gotten such bad press in the last couple of years, but clearly carbs are not all created equal,” says Emily Levitan, lead researcher of the Harvard carbohydrate study. vThe women who ate foods with the most soluble fiber like oats and oat bran, dried beans, flax seeds, oranges and apples had less inflammation in their body. “What it means is women should switch to whole grains, start eating brown rice instead of white, eat whole grain breads and whole grain pasta, and also increase their intake of fruits and vegetables, other than potatoes,” says Levitan. Other studies have linked good carbs with lower weight, but the Harvard study is the largest to show that whole grains can reduce inflammation in the body. Bad carbs like white bread or refined pastas were linked with increased blood inflammation, which could lead to heart disease later on, Levitan says. Once shunned as the starchy, hunger-causing enemy of lean dieters, high-quality carbs are now major factors in the government’s diet guidelines. But bad carbs like candy bars or processed white bread are still no-nos when it comes to weight control and nutrition. Those sugar-rush carbs are quickly turned into glucose by the body and end up causing you to feel hungry again sooner. 10 AWESOME AND TASTY FOODS THAT WILL IMPROVE YOUR HEALTH WITH EVERY BITE! Cantaloupe: A quarter of a delicious melon supplies almost as much vitamin A and C as most people need in an entire day. Sweet Potatoes: A nutritional All-Star, one of the best vegetables you can eat. They are loaded with carotenoids, vitamin C, potassium, and fiber. Mix in unsweetened applesauce or crushed pineapple for extra moisture and sweetness. Organic Fat-free (Skim) Milk: Excellent source of calcium, vitamins, and protein, with little or no artery-clogging fat and cholesterol. Blueberries: They are rich in fiber, vitamin C, and antioxidants. In fact, blueberries rate as the most antioxidant food you can consume! So eat up! Oranges: Great-tasting and rich in vitamin C, folic acid, and fiber. Broccoli: Lots of vitamin C, carotenoids, and folic acid. Whole-Grain Bread: It is higher in fiber and has about a dozen vitamins and minerals than enriched white bread or enriched wheat bread. Watermelon: Excellent source of vitamin C and carotenoids and it tastes great! Perfect for a snack, dessert, or picnics. Beans: Inexpensive, low in fat, and rich in protein, iron, folic acid, and fiber. Choose garbanzo, pinto, black, navy, kidney, or lentils. Eat them as a side dish or snack, in a tortilla with salsa, or in soup or salad. Spinach or Kale: Loaded with vitamin C, carotenoids, calcium, and fiber. Steam them and eat them. 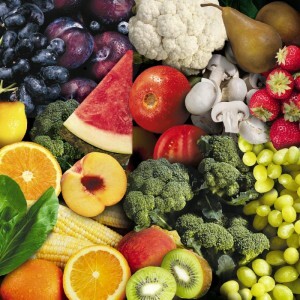 Comments Off on 10 AWESOME AND TASTY FOODS THAT WILL IMPROVE YOUR HEALTH WITH EVERY BITE!